Forty years of riding and I finally found someone who enjoys riding as much as I do! Mary Jane and I met 3 years ago on match.com, we knew right away we were soul mates. 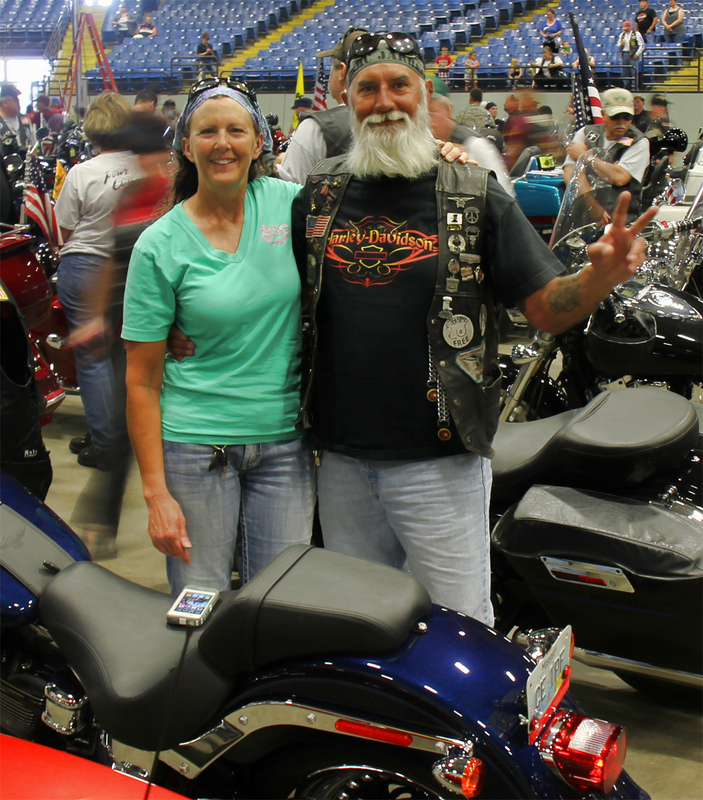 After a year of riding behind me, Mary Jane took the MSF course and bought her first motorcycle, an 883L Sportster. We rode to BBB last year for our first time. We had such a great time riding and hanging out on Dickson Street that we decided to do the same this year. At last year's rally, we met a couple from Louisiana who were staying in our hotel. They married during the rally, but not at the event. We thought that sounded like a great idea, so we checked into getting hitched in Arkansas and the prerequisites. Then we had a brainstorm and inquired about having the ceremony at BBB. A resounding yes was the reply. My sister and brother in law married at a rally in Georgia 21 years ago where I was the best man. They are going to be our best man and maid of honor this year. This year is even more special as Mary Jane has stepped up to a new Fat Boy and is looking forward to tackling some of Arkansas twisties that we didn't get to ride last year. With friends coming in, it is sure to be very memorable. This will be our second trip to Bikes, Blues and BBQ, and we are going to get hitched on Friday at 6:10 pm on the main stage! We are very excited and looking forward to celebrating with all our Brothers and sisters. Bikes, Blues and BBQ would like to congratulate Mike and Mary on their upcoming marriage and wish them many years, and miles, of happiness. Life is good!